Alexandre Vauthier's Spring '19 collection is based on a chic Parisian monochrome palette, with pops of color and animal print. 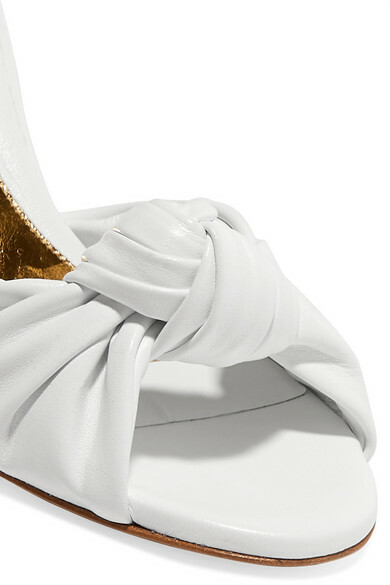 These mules are crafted in Italy from textured white leather. They have a vintage-inspired peep-toe silhouette and knotted straps. Use them to accent an black mini dress or tailored suit. Shown here with: Alexandre Vauthier Dress, Bienen-Davis Clutch, Ellery Earrings.